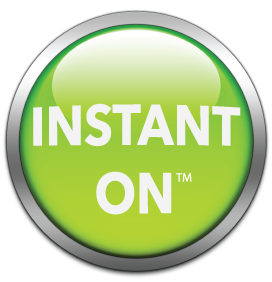 InstantOn enables any Document Library or Asset Library to harness all the power of MediaRich’s features with a click of a button. After accessing this feature, there is no need to load assets into a new library. You will instantly see thumbnails from any browser (including mobile) in the existing location of these files, as well as the EQ Toolbar on every thumbnail, video and audio file in the library. By applying Instant-On, users have the power to view, watch, and hear files in any library and all SharePoint searches in a scalable environment that minimizes the SharePoint resources required by automatically managing all the visual assets within MediaRich ECM Server. While all your originals reside safely in SharePoint. Additionally, the EQ Toolbar provides one-click export, add-to MediaCart™, and go to MediaCart, from anywhere the EQ Toolbar resides. This also enables Bring Your Own Device (BYOD) because of Equilibrium’s Patented dynamic content delivery and auto conformance technology as there are NO client/browser plug-ins required. This simply turns SharePoint into the same environment on a Windows 8 device or on Mac OS, providing for easy collaboration and single source of truth for all your media, document and pdf content.